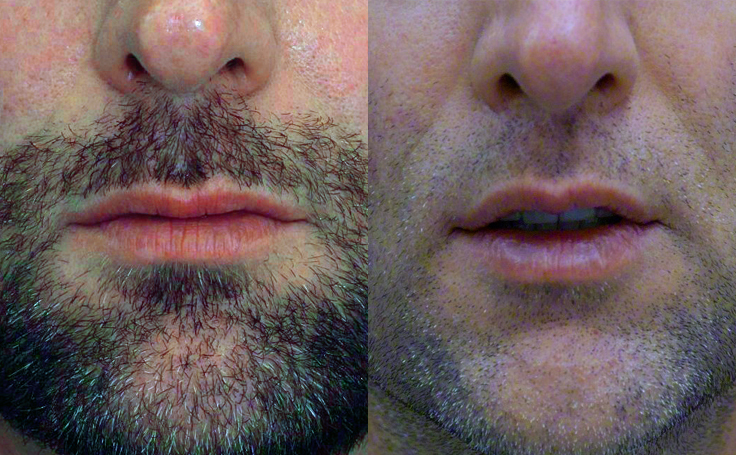 White 42-year old male had 1.5 cm (15 mm) pre-op distance from the vermillion border (top of lips) to the bottom of nose. Dr. Rodriguez placed the surgical marking to remove only 2 mm-4 mm of skin (at the base of the nose) to achieve the best shape for the lips. 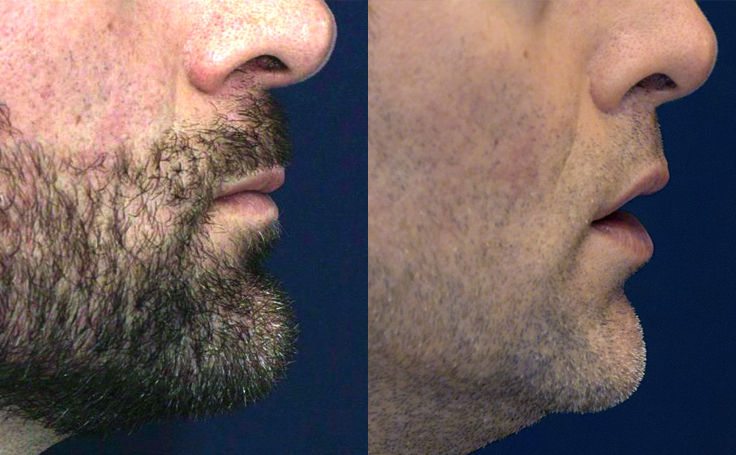 With even just this small amount of skin removed, the distance between his nose and upper lip was noticeably shortened to bring balance to his lower face. 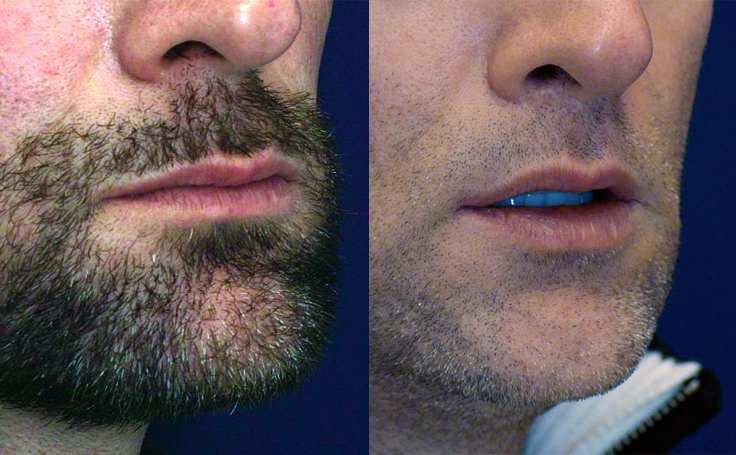 This 42-year old male patient came to me because he felt that his lower face was not in proportion with the rest of his face, he felt the distance between his nose and lip was too long. After our Skype consultation this patient decided to fly into my Baltimore office to have his lip lift performed. I performed his lip lift with local anesthetics and removed 1.4cm of tissue, applied topical skin adhesive and he was able to fly home the same day. I followed up with him via Skype, as he did not need to return to my office for suture removal. He sent us his photos approximately 9 weeks after his surgery. I'm happy that he is thrilled with his lip lift result. For more in-depth information, see my blog post, Lip Lift - A Technical Description of the Procedure, or read more about the Lip Lift here. To set up your personal consultation please contact us at 410-494-8100 alternatively arrange for your virtual consultation and I’ll be happy to Skype or chat with you by phone to help you determine what procedure is right for you.